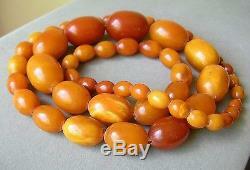 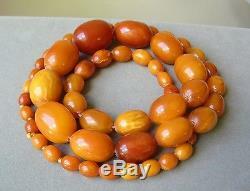 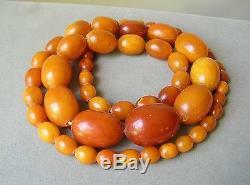 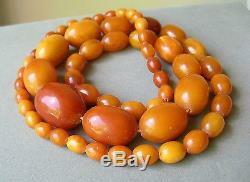 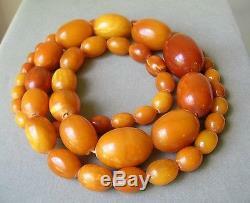 Vintage natural butterscotch Baltic Amber Bead Necklace with 57 beads in total. 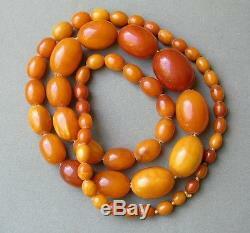 The necklace measures approximately 38 inches in total length. 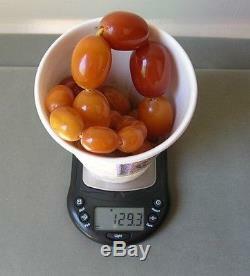 The total weight for the necklace is 129.3 grams. 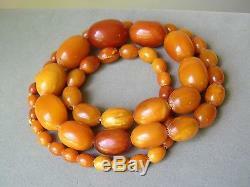 The largest bead at the center is about 25 by 35 mm and the smallest is about 8 by 10 mm. 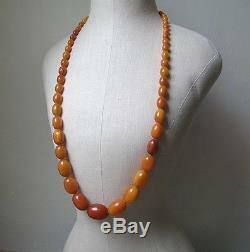 The overall condition is very good with normal age. 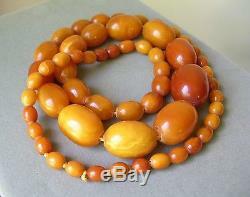 The item "Vintage Antique Natural BALTIC Butterscotch AMBER NECKLACE 129.3 grams" is in sale since Wednesday, June 22, 2016. 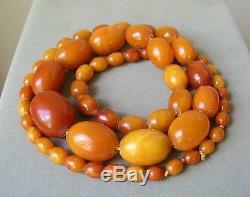 This item is in the category "Jewelry & Watches\Vintage & Antique Jewelry\Fine\Art Nouveau/Art Deco 1895-1935\Necklaces & Pendants". 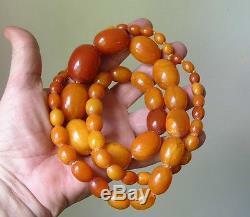 The seller is "surf5498" and is located in New York State.